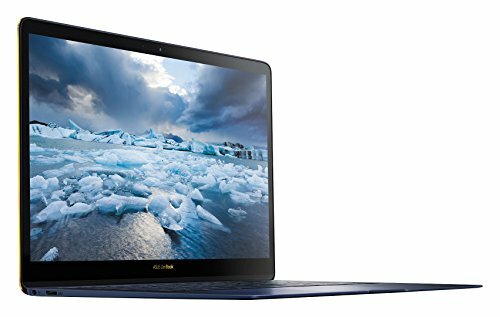 Asus ZenBook Review – What Does This Unique Model Offer? Home Brands Asus ZenBook Review – What Does This Unique Model Offer? Asus laptops are popular for a reason. The company has a popular name in the tech industry. From individual components like chipsets to a variety of computers, the company’s inventory is versatile. It’s a testament to how well Asus understands the way technology comes together. For example, their willingness to adapt to Intel’s industry-leading CPUs helped achieve a high-end interface that dominates the current market – a great long-term decision. Making Waves: What Does the ZenBook Line Offer You? What Does the ASUS ZenBook Offer That Competitors Don’t? But they also understand the value in equipment trends. Their work with chipsets could be capitalizing on partnerships with other market leaders – but many of their leading laptops focus on combining features users look for. This trend is present with other laptops on the market from competing brands. One popular formula for success goes like this – make it slimmer without making it slower. When we think of laptops, the entire purpose behind it as opposed to a PC is the size. It’s much easier to cart it around whether you’re taking it to the next room or to a work meeting tomorrow. We all remember the dorm roommate who carried his PC tower inside and out all day – hey, you need some help with that? But the options for space-efficient devices keep coming. And the trend now is they’re no longer expected to be hampered by their tight quarters. Smaller laptops are now faster and cooler – both in temperature and looks. The sleek design has stopped being a limiting factor on the device’s potential output. Now it’s a stylistic opportunity and a pallet from which a great machine can be created. The ZenBook represents Asus’s attempt at it. And with a variety of models that offer good value with a little consideration to competition, it’s a line worth learning about. In this review, we’ll take a look at the Asus ZenBook line of computers. We’ll examine the concept behind the line as a whole, discuss individual models, and finally make a comparison – including alongside other brands’ products. 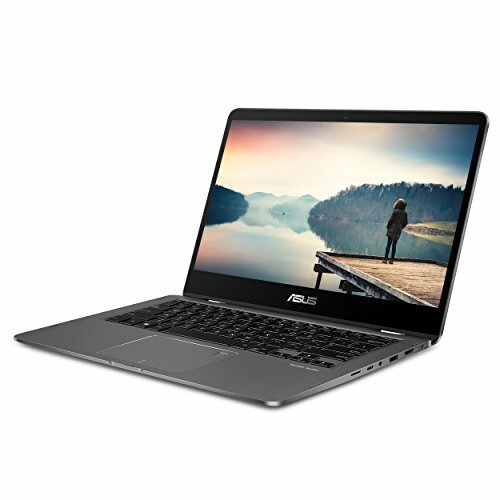 ZenBooks are advertised on Asus’s official website as a product targeted toward creators, connectors, builders, and disruptors. This immediately catches the attention of users from numerous market demographics. The musicians or video editors of the world – who work diligently to put content on SoundCloud or YouTube. The streamers, graphic artists, gamers, or entrepreneurs who need varying levels of components to work and play respectively. Sometimes the laptop should lean more toward intensive tasks – you need something that you can push with when you’re working on a project at the office or finishing up something at school. But there are times when the need for an even slimmer and lighter design is necessary. The frequent traveler or floating worker may even prefer this model to the others. Then there are those who love the way a laptop functions – but really love the way it looks. For them, style is more of a determining factor than anything else. And if they can get a solid build in addition to the sleek looks, it’s an added bonus. We can’t forget that there are new trends emerging in the laptop game constantly. This is why we see the debate about laptops vs. tablets vs. tent devices finally cooling. With 2-1 and 3-1 devices, you can get the best of multiple worlds. Improve your workflow in laptop mode, flip the keyboard back for tablet-style viewing, or even use the keyboard itself as a makeshift stand, similar to tent cases for tablets. Whatever a person is looking for, Asus attempts to offer them something in the ZenBook line. Think about how computers like the Chromebook or the Acer Convertible series – or even certain brands of Mac books. These are all computers that balance various degrees of style, workflow, and portability into their design. But how do the individual ZenBook offerings compare? For the sake of versatility, we’ll examine each different category here then talk about how the products hold up to the competition – finally, we’ll delve into the product’s reputation for each category, and deliver a final verdict on whether the ZenBook line from Asus is worth checking out. The ZenBook line is promoted as one that helps you amplify your impact. That seems like a salesy way of saying you can do more with less. This means the line fits well among that target market that does a little of everything. Let’s take a look at each product category. Even the title brings to mind Apple’s crowning line in the portable computer category. But what may look like a nod to the standard Mac-style laptop (which even companies like Acer and HP have tried to emulate) is actually a unique offering in its own way. For starters, this line of computer is built around being light. That’s good, especially since many competitors have also been capitalizing on this trend. If we look at the UX550 in the ZenBook Pro category, we see it is a workhorse laptop from the beginning. And i7 processor means more cores and more perseverance during long hours of work and multitasking. But what about on the video side? Graphics matter too, whether the user is playing a video game or playing a 3D animation they just created for their next project. This model comes with a GTX 1050 Ti, and that’s enough to make any computer soar into the mid-to-high-end range for productivity machines. Whether it’s a gamer who needs to stream, an artist who needs to create, or an entrepreneur who needs to do everything, the UX550 is built for a productive workflow. There are also other conveniences you would expect, like 16GB of memory and a 15.6” touchscreen display. It’s a machine built for speedy work in a slim frame. It even has USB ports from new and last gen, as well as a 512GB SSD. You can expect to pay around $1,500 for this laptop – it’s creeping up into the upper-mid-range to high-end buying zone, but this model, in particular, has the specs to justify it. And while there are some slight variants among the other ZenBook pro models, most are value-based like this one. This line has some overlap with some of the others – there are some models you’d find in both areas. But on Asus’s official website, this computer is listed in the flash category. No, not flash memory – it’s one of the laptops listed under the main ZenBook profile when it comes to style. The model chosen for this category was the UX490. That means a great deal of care is given to both aspects – including the specifications that affect performance and the design that affects the style. The latter is due to careful crafting on a single sheet of aluminum material. The aerospace-grade metal goes through a 40-step process before it is ready. This style is complemented by a solid array of components, many of the same you’d find in the UX550. The i7 is there, and this one adds an extra perk: it is the eighth-generation model, meaning you get superior architecture optimized to today’s tasks. There is also a great combination of memory and storage, 16GB and 512 (SSD) respectively. If you’re the type of person who has their laptop out in class, at a work conference, at your local meeting with your project team, or any other group setting, this can be a great model to show off. There’s no shame in liking the good-looking variety of laptops just for yourself, either. It’s like the old adage about a tree falling in the woods – even if there’s no one else around to see it, getting a looks-based laptop is always welcomed. And as we mentioned earlier, when it also brings real power in terms of specs, that’s a huge bonus. This line is Asus’s answer to Acer’s Convertible line and various other manufacturers’ hybrid laptops. When it comes to this line, the question isn’t just what specs or look does the computer have – it is whether or not these design choices are helpful in all of the product configurations. For this line, the site lists the UX461. 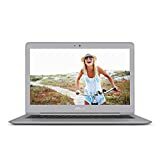 It’s a great mid-range model to get you started if you’ve never bought a laptop like this before. But it will also satisfy the design needs of buyers who like the convertible style and swear by it. 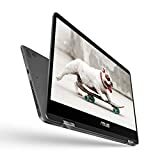 Let’s look at the UX461, one of the most popular flip-style ASUS ZenBook choices on the market. Not only does it come with an eight-generation quad-core processor, but it has the familiar 512GB SSD and 16GB of RAM combination. This balance allows for more performance even in tough situations. Whether you have the computer in tablet mode to watch a video, or in a standard laptop configuration for some gaming, the NVIDIA GeForce MX150 is up to the task. No matter how small or big your need is, this laptop has the right balance of specs to handle almost any mid-range need while still resulting in an athletic design. As with most model lines in the ZenBook series, you can upgrade or downgrade specs to affect the price. For example, on the UX461, you’ll get the choice of an 8250U or an 8550U for your processor. For the storage, you can enjoy a choice between a 256GB or 512GB model – or, if you don’t mind settling for an HDD over an SSD, you can go down to a standard 1TB model. If you don’t plan on doing much editing and feel 16GB of RAM is excessive, you can go with half of that. With its basic title when compared to some of the others, this category could be misconstrued as being the “low cost” line. 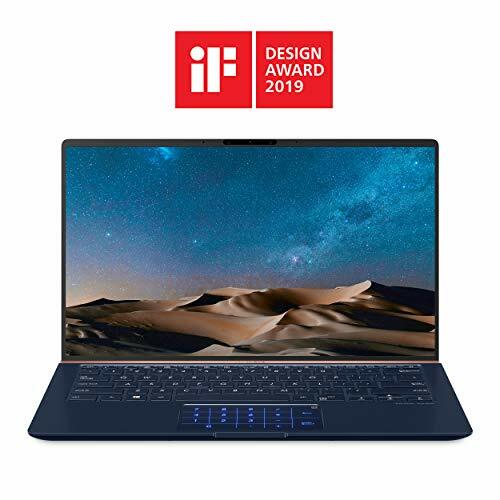 While it does feature some of the lower prices on the ZenBook catalog, this is because of the products’ design – they’re built to be slimmer and lighter than standard laptops. This goes for models both in and out of Asus’s lineup. 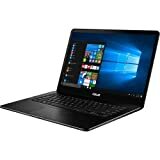 The UX330 is the lower-level model advertised in this category on Asus’s website. It comes it at around $750, which puts it solidly in the mid-range territory as far as price goes. Yet that’s not the most curious figure associated with it – this would be the weight. 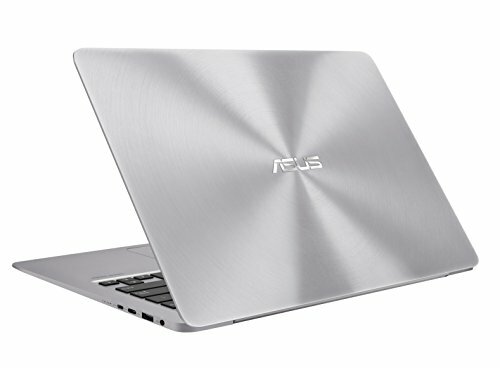 At 2.6-pounds, the computer is one of the more lightweight models in Asus’s entire inventory. The ZenBook line is targeted at creators, who are often also travelers, entrepreneurs, and workhorses in their own right. Having a lighter laptop can sometimes be helpful in these cases. With an i5 processor, 8GB of memory, and a 256GB SSD, the specs are solid throughout for the ZenBook UX330. These are most of the prevalent categories in the ZenBook line. But how do they hold up to the competition? For many people, they have a preferred brand of laptop. This could be the result of a good experience, a product that lasted a long time and provided plenty of return on investment, or in some cases both. This is why many laptop manufacturers are moving more toward a holistic approach to their inventory. Offering different types of laptops within the same line can attract new buyers, and even help encourage retention among existing buyers who like the brand but want a different type of computer altogether. There’s no denying that anyone who is looking at a ZenBook Flip would likely compare to an Acer Convertible, a Chromebook 2-1 or 3-1, and so on. The same can be said about the Pro series, which could be compared to Mac laptops or some of the sleeker more high-end HPs. Asus offers the comfort of brand loyalty, meaning those who have had good experiences with the company before will likely prefer their products over the competition. Does this mean they’re worth it? If you’re in the market for a creativity-focused machine, ZenBook offers some great options no matter your preference. And if your preference is for ASUS, the ZenBook can help you meet any tech need while going with a brand you feel comfortable with.